The value of residential building permits in February rose 1.5 per cent to $1.4 billion. That increase, which was led by gains in Quebec, British Columbia and Nova Scotia, follows an 8.1per cent drop in January. Multi-unit properties, such as condos and townhomes, skyrocketed 20.7 per cent to $1.8 billion in value during the month. The increase in February, which was attributed to higher condo construction intentions in every province except Ontario, effectively ended a four-month decline in permit values. At the municipal level, Vancouver, Halifax and the Kitchener-Cambridge-Waterloo (KCW) Region posted the strongest increases in condo construction intentions, while Toronto reported the largest decline in condo intentions. 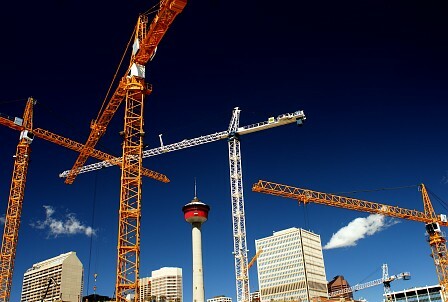 Construction intentions for single family homes across the country, however, fell 9.6 per cent to $2.3 billion – a change in pace following two consecutive months of increases. Lower intentions for detached properties in Quebec, Alberta, British Columbia and Ontario drove that decline. Still, the new housing price index (NHPI), which Stats Can also released today, reported a 0.2 per cent month-over-month increase during February. That follows a 0.1 per cent decline the previous month. The index measures the change in the selling prices of new residential homes, as agreed to by the contractor and buyer. The combined NHPI increase in Toronto and Oshawa was 0.3 per cent in February, driving most of the growth to the national average. Stats Can said builders offset those price increases by offering promotional packages in an effort to boost low sales. Halifax reported a 0.4 per cent increase to the index – the city’s largest increase since July 2013. Ottawa-Gatineau, meanwhile, posted no change to its price index, essentially stabilizing after five consecutive months of decline.